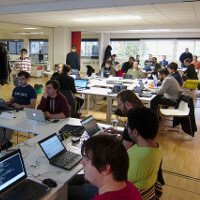 The 2019 Web Engines Hackfest will take place in A Coruña, Galicia, Spain from Monday, October 14th to Wednesday, October 16th. Igalia has been organizing and hosting this event every year since 2009. This is a hacking oriented invitation-only event. If you want to attend you can request an invitation. In addition, you can check the talks from past edition on this website. 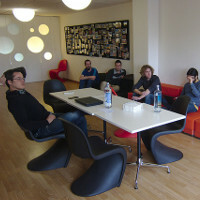 The Web Engines Hackfest used to be known as the WebkitGTK+ Hackfest, which has been held since 2009. Information from previous years can be found on the following pages: 2009, 2010, 2011, 2012, 2013, 2014, 2015, 2016, 2017 and 2018. More sponsors are welcome! If you'd like to contribute as sponsor, please contact us.